According to the latest statistics released by the Department of Environmental Affairs, South Africa has lost 86 rhinos to illegal poaching since the beginning of 2014. Of the rhinos poached, 63 rhinos were killed in the Kruger National Park, 8 in KwaZulu Natal, 6 in Limpopo, 4 in the Free State, 3 in Mpumalanga and 2 in North West. Since the beginning of 2014, 21 alleged poachers have been arrested in South Africa. Durban hosts the first Durban Land, Sea & Air Festival in March 2014. The festival's main event is the Sky Grand Prix of Aerobatics, which will see five international pilot travel to South Africa to compete against the best of the best aerobatics pilots in South Africa. Festival-goers can also expect live music, air-themed movies, skydiving events, a host of watersport competitions as well as action packed displays from the South African Navy. The SA Navy will bring a Frigate, a Submarine along with the navy dive team and the precision drill team (band). The Durban Land, Sea & Air Festival is the very first of its kind event to happen in Southern Africa. It will take place from the 20 - 23 March 2014 at Durban's North Beach. North Beach is one of the city's main beaches and is situated north of the harbour and bluff, in between Bay of Plenty and Dairy Beach on Durban's Golden Mile. The festival is free to the public! South Africa's flag carrier, South African Airways (SAA), has announced that it is resuming its popular non-stop flights between Johannesburg's OR Tambo International Airport and JFK International Airport in New York. The non-stop flight will resume on 09 March 2014, nearly three weeks ahead of its original schedule of 28 March 2014. Due to - at least in part - lower travel demand during the winter months, SAA's Johannesburg > New York flight has been temporarily making a 1-hr refuelling stop in Dakar (Senegal), while the return flight from New York to Johannesburg has continued to operate on a non-stop daily basis. Video: Johannesburg in one word! Back at the end of November 2013 the 3rd annual WORD N SOUND International Youth Poetry + Live Music festival took place in Johannesburg. Having a crowd of spoken word artists and poets in one spot, someone had the great idea to ask 17 of them (including some of the organisers of WORD N SOUND) to put Johannesburg into one word. Here is what they said... Love it! Kudos Matador Network! Word n Sound from Matador Network on Vimeo. Zambia: Emirates & Proflight Zambia sign ticketing agreement! Great news for Zambia's tourism industry and all travellers planning to visit the country. One of the world's largest airlines, Emirates, and Zambian airline Proflight Zambia, have signed an interline agreement that will make it easier for international passengers to reach domestic destinations throughout Zambia. Under the new agreement, customers will be able to purchase joint Emirates-Proflight Zambia itineraries and will be issued with a single combined ticket. This will enable seamless connections to and from Proflight Zambia's eight domestic destinations: Ndola, Livingstone, Mfuwe, Solwezi, Chipata, Mansa, Kasama and Mongu, as well as the local airline’s two international routes, Lilongwe in Malawi and Dar es Salaam in Tanzania, with Emirates' daily Lusaka service. Sprite, the lemon-lime flavored soft drink, and The Fader, an independent Manhattan-based music/style/art/culture magazine, have teamed up to spotlight South Africa’s vibrant, emerging street culture through their brandnew "Obey You Collective: South Africa" campaign. During the month of January and February 2014 [update: and March 2014], Sprite & The Fader will present a series of six video documentaries highlighting some of South Africa’s most creative and interesting talents to bring you a look at the arts coming out of South Africa. A mini-documentary about Braamfontein, known as one of the Johannesburg's most creative neighborhoods, is the first video of the series. We will add the upcoming videos to the playlist below. Enjoy! All the films are via the amazing eye of South African director Adriaan Louw of we-are-awesome. Kudos Sprite, The Fader & Adriaan! In the latest edition of CNN's "Inside Africa" (27 Jan 2014), the show's host Errol Barnett travels through Zimbabwe. He visits Great Zimbabwe, located in the southeastern hills of Zimbabwe near the town of Masvingo, and the Antelope Park in Gweru, home to the world famous ALERT (African Lion & Environmental Research Trust) lion rehabilitation programme, as well as Harare, where Errol Barnett explores the night life of Zimbabwe's capital (> lostinharare.co.zw). Kudos Inside Africa & Errol Barnett! Part 2: Safari camp with a conscience Part 3: Is this really Zimbabwe? update (19 May 2014): Great news! The canopy walkway in the Kirstenbosch National Botanical Garden is almost finished and will be open to the public after 10:00am on 20 & 21 May 2014 and all day every day thereafter. There are still a few minor works to be done on the Walkway, so there will be workmen on site at times. update (12 May 2014): The tree-top canopy walkway in the Kirstenbosch National Botanical Garden should be finished and open to visitors in late May or early June 2014. It was expected to be finished earlier, but there were delays and difficulties during construction and the carpentry has taken longer than anticipated. update (17 April 2014): Due to delays and difficulties during construction, the tree-top canopy walkway in the Kirstenbosch National Botanical Garden should be finished and open to visitors in early May 2014. A new tree-top canopy walkway is expected to open in the Kirstenbosch National Botanical Garden in Cape Town in March 2014. The crescent-shaped walkway is situated in the Arboretum (Enchanted Forest) which is nestled below the Protea Garden, above the Dell and above the Concert Stage Lawn. Curving between the approx. 450 indigenous trees and through branches, the 130 m-long galvanised steel structure was constructed to mark Kirstenbosch's centenary in 2013. The walkway, which joins the forest floor in two places, provides spectacular 360-degree views of Cape Town and the city’s mountain slopes. The "boomslang", as it is affectionately known, is 11 meters above the ground. When the project is complete visitors will be able to enjoy the breathtaking walkway for free after a Garden entrance fee has been paid. Click here for a photogallery of images of the walkway under construction. South African National Parks (SANParks) has published some key tourism performance indicators for December 2013. According to the statistics a total of 692,498 guests passed through the gates of South Africa's National Parks during the month. Of these, 73,910 guests spent a minimum of one night inside a National Park. update (22 Aug 2014): The Cape Canopy Tour is open! Get ready for 13 elevated platforms, a suspension bridge 50 meters over beautiful waterfalls and more than 2 kilometers of cable for 11 exciting slides! update (15 Aug 2014): Canopy Tours South Africa has been taking bookings from August 2014 for the Cape Canopy Tour but will do a big launch when the summer hits! update (09 July 2014): Canopy Tours South Africa is currently looking at opening the new Cape Canopy Tour in LATE July 2014.
update (23 May 2014): Canopy Tours South Africa is currently looking at opening the new Cape Canopy Tour in July 2014.
update (17 April 2014): The Cape Canopy Tour will be opening in May 2014. Canopy Tours South Africa has partnered with Cape Nature to open its 7th location in South Africa in April 2014 (around Easter). The new Cape Canopy Tour is situated within the Hottentots Holland Nature Reserve in the Western Cape. The canopy tour will consist of 13 platforms and slides up to 320m long. It is set among the cliffs, forest, waterfalls and endemic fynbos of the nature reserve. The Hottentots Holland Nature Reserve lies in the Hottentots Holland mountains, some 90km south east of Cape Town. The 70 000ha reserve stretches from Elgin in the south to beyond Villiersdorp in the north, and from the Stellenbosch mountains in the west, eastwards to the Groenland mountains. The entrance to the reserve is at Nuweberg, high in Viljoen's Pass between Grabouw and Villiersdorp.Canopy Tours South Africa's other six tour locations include the Magaliesberg Canopy Tour (Magaliesburg), Tsitsikamma Canopy Tour (Storms River Village), Karkloof Canopy Tour (Karkloof), Magoebaskloof Canopy Tour (between the towns of Haenertsburg and Tzaneen), Drakensberg Canopy Tour (opposite Drakensberg Sun) and the Malolotja Canopy Tour (Swaziland, on the Piggs Peak road). 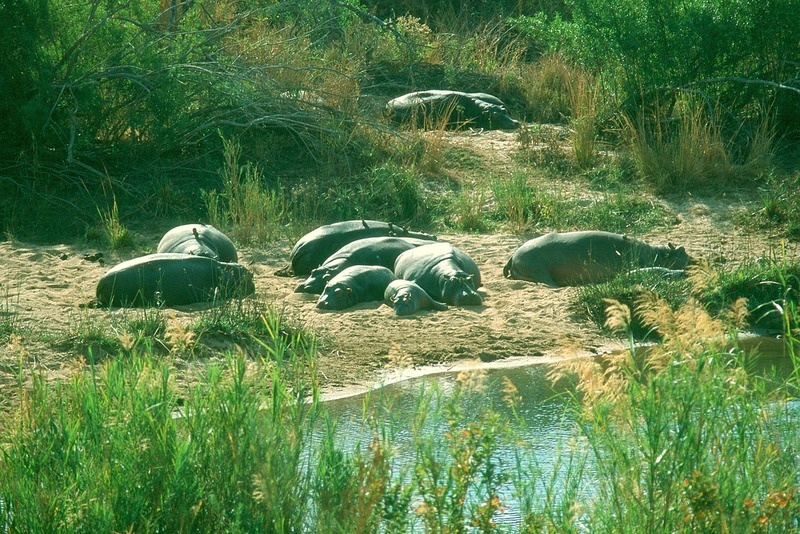 Namibia has designated its fifth Ramsar Site!